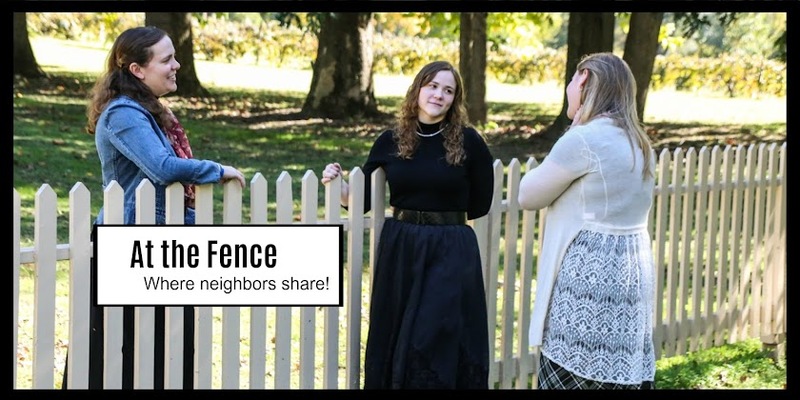 I have a fun place to share with you!! Medieval Times of Schaumburg is a great place to visit. 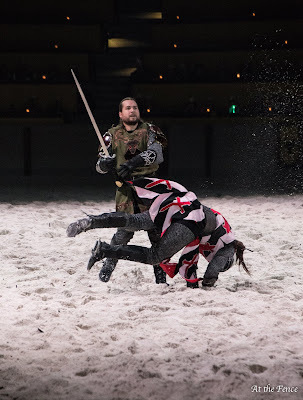 We went while we were in Chicago for the Chicago Toy and Game Fair. 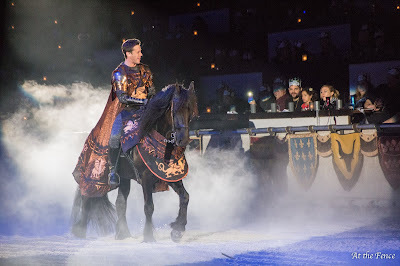 My husband and one of my daughters was able to go to this dinner show as well. 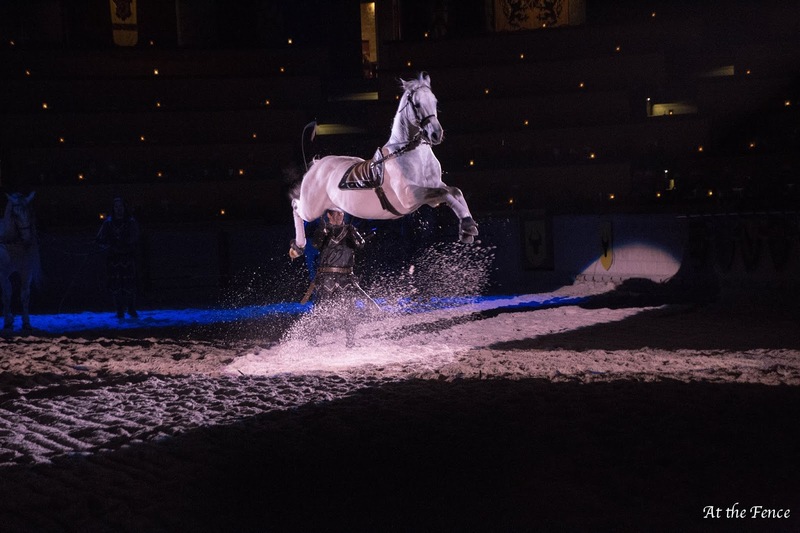 The minute you enter the castle, you enter a realm of knights, a princess, and some of the most amazing horses ever. 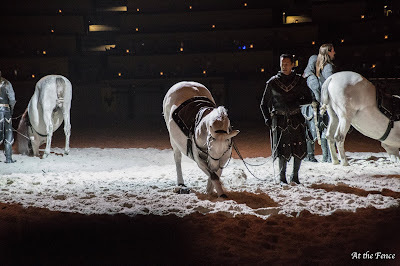 If you decide to go, plan to arrive a little early, so you can see the shops, the horses and perhaps visit the dungeon. Everyone receives a crown to cheer on their knight, but you can upgrade your ticket to purchase extra benefits. 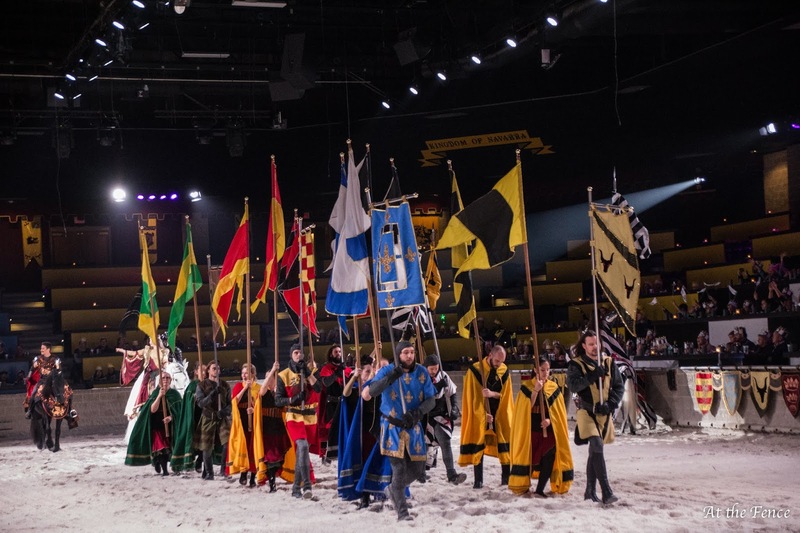 After the knighting ceremony and announcements you will enter the great hall, surrounding the arena. 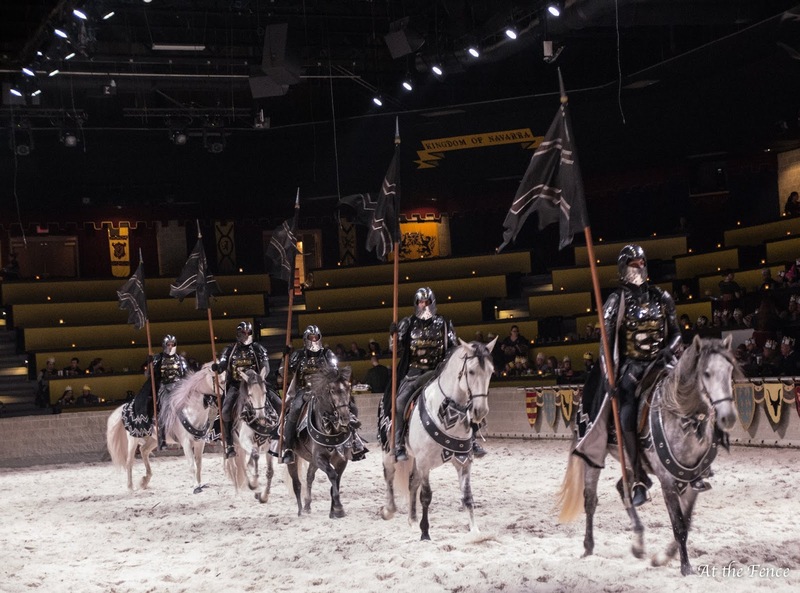 Serfs and wenches will see you to your seating and shortly thereafter the show will begin. While the outstanding performance is going on, you will be fed a delicious meal. You do have to eat with your hands, but it is all fun. Now, the meal is fantastic, but the show is the highlight! 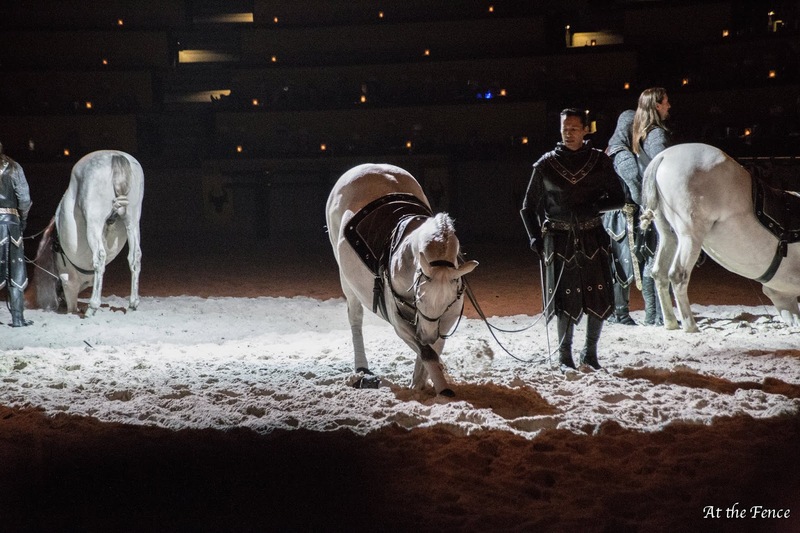 Lights will dim, a mist arises and the show begins. This is a new show from the ones we have seen in the past, but it is just as good and will hold your attention. 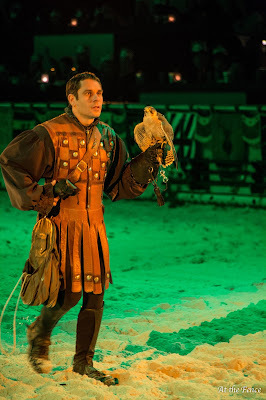 As you cheer on your knight throughout the show you will see gorgeous horses perform, knights jousting and competeing as well as seeing a falcon preparing to hunt. 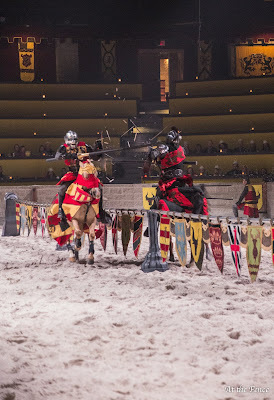 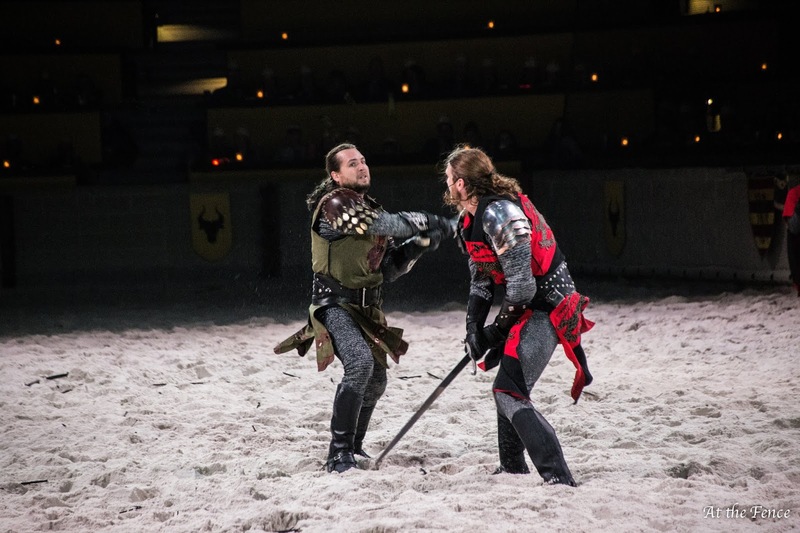 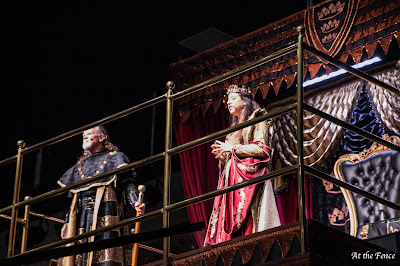 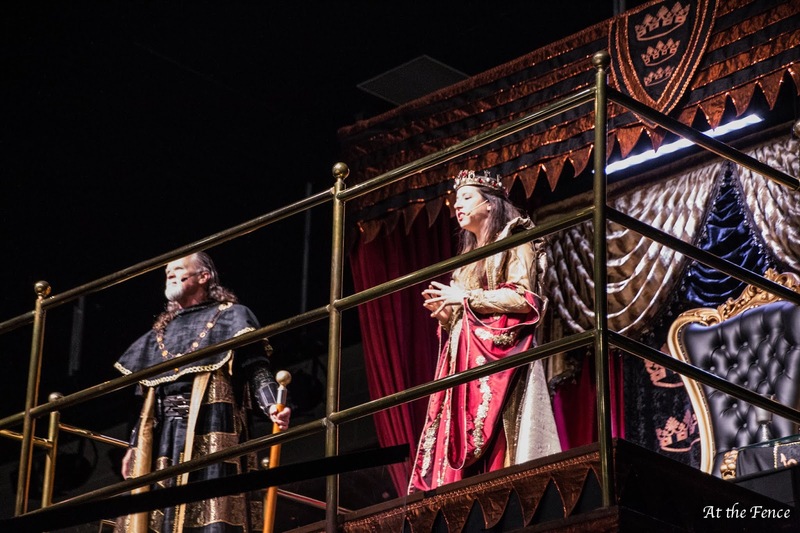 Medieval Times is definitely worth putting on your schedule, and what an enjoyable way to spend time with your family and friends over the holidays. 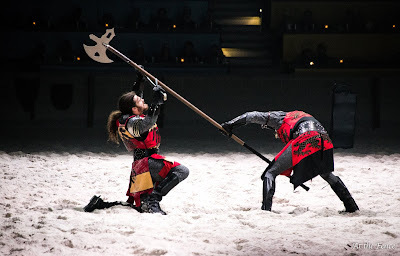 So if you are in Chicago, or one of the other cities where a Medieval Times is located, try to put them on your schedule. 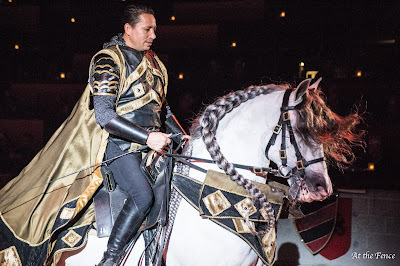 Thank you Medieval Times for the memorable evening my husband, daughter and I were able to share. 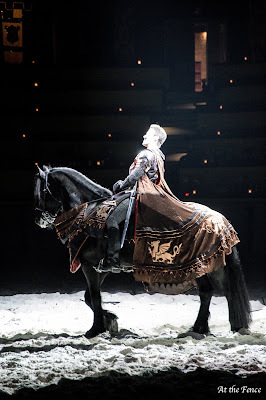 Looking forward to visiting again in the future.